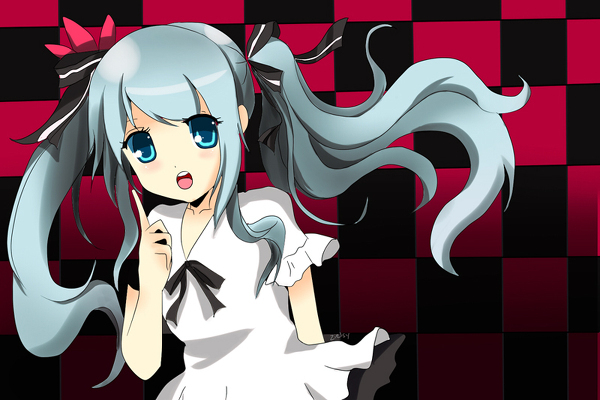 As reported previously on Vocaloidism by bunnychan, Hatsune Miku and Supercell’s famous single, “World is Mine”, was recently released on the US Itunes store as part of the promotional effort for Miku’s North America debut. ANN is now reporting that the single is currently sitting at #8 in the World Singles ranking on the US Itunes store after having peaked at #7. “World is Mine” was also #56 in the Amazon International MP3 sales ranking. In another bit of exciting news, Naka no Hito (the semi-official twitter of SEGA’s Project DIVA team) has announced that two new and currently “secret” projects are in development. The products are confirmed to be distinct from the already announced Project Diva 2.5 and Project Diva Dream Theater 2nd Projects. With the recent spike in new and exciting developments it definitely appears that 2011 will be yet another exciting year for Vocaloid fans across the globe and especially for those in the United States as Miku makes her first effort to cement her presence across the Pacific. We here at Vocaloidism will be watching these developments closely and hope to continue to bring you further information as it becomes available. Also I'm just hating yowhishing you a tremendous experience at AX2011 and hope that unlucky guys like us european will be able to join the lucky bastardsvocaloid fans at AX2011 with (hopefully) a streaming service. I totally think that America is getting Project Diva. I would seriously consider buying a PSP if Project Diva came out here. I'm pretty sure they are american project diva and k-on!! houkago live! !